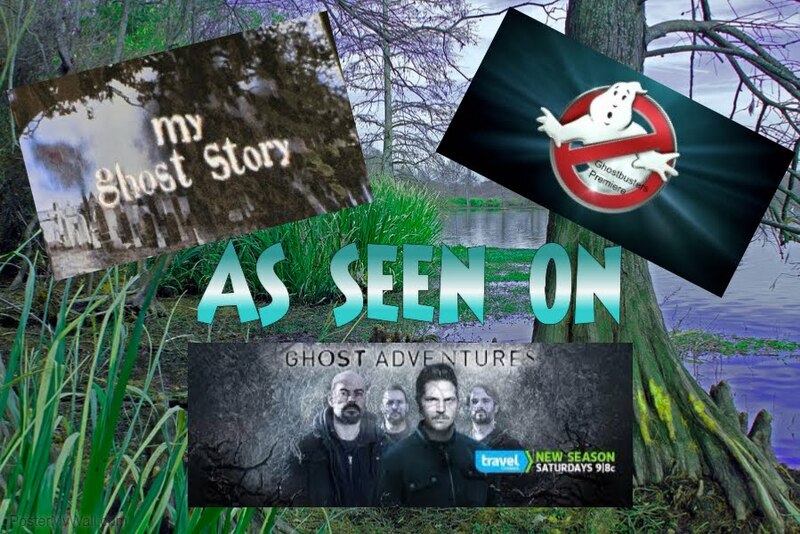 Becky Vickers(BECKS) - Everyday Ghost Hunters/Goatman's Bridge Ghost Tours: THE MINERAL SPRINGS HOTEL-MAY BE ONE OF THE MOST HAUNTED PLACES I HAVE EVER BEEN!!!! SEE WHY!!!! THE MINERAL SPRINGS HOTEL-MAY BE ONE OF THE MOST HAUNTED PLACES I HAVE EVER BEEN!!!! SEE WHY!!!! Well, I may have just visited the MOST HAUNTED HOTEL YET!!!!!! I can't even begin to tell you how HAUNTED this place really is!!!! It has everything....the "CREEP FACTOR", beauty, tons of rooms to investigate and of course, a very HAUNTED history. I attended the annual Troy Taylor's Haunted America Conference again this year and for the first time the Mineral Springs Hotel was offered as one of the places you could investigate. Man, am I glad I picked this!!!! Now, I am going to be posting about this place in two different posts. This week I am posting a video with the AWESOME EVP's that I captured, believe it or not, the next day when the owners allowed me and my good friend Michele Pellegrino of White Dog Paranormal to go back in and do a private investigation. Can I just say, the owners of this place are WONDERFUL!!!! They have the coolest little shop in the front of the hotel called It's Raining Zen. You guys go on-line and check out this store of stones, pendulums, sage and all kinds of fun stuff for the paranormal. And just a little "tease" for next week's post.......one of the most paranormal experiences I have EVER HAD happened here!!! That's right....but you'll find out more about that next week. Now the EVP's you are about to listen to were taken down in the bottom of the hotel in a Slaughter Room that was used for killing pigs and storing the meat. I can tell you that VERY FEW places have ever made me sick BUT this particular room was almost more than I could bare. I sat down in the floor(which was a BAD mistake) and all I could feel was death not to mention the vision in my head of pigs hanging from the ceiling and blood dripping to the floor.......the floor in which I was sitting on. After about 15 minutes, I started telling Michele that I was feeling sick. And minute by minute I started to feel worse almost to the point of physically throwing-up. I mean I was really getting sick to the point of when we started up the stairs I was so dizzy I almost feel back on the stairs. Michele was more than willing to pack up and get the heck out of there!!! As soon as we did and I reached the top of the stairs...I was just fine! CRAZY!!! Below was written by Troy Taylor. See what he has to say about the Mineral Springs Hotel. And you guys be sure and check back next week....you aren't going to want to miss what happened in this VERY HAUNTED HOTEL!!!! The Mineral Springs Hotel opened in 1914 and it was a pretty spectacular place. Early advertising boasted that the hotel featured the "largest swimming pool in Illinois", mineral spring "cures", and the biggest table in the city of Alton, said to seat 26 people. The hotel was constructed by August and Herman Luer, successful meat packers, who intended to open an ice storage plant on the property in 1909. As excavations began on the site of the new ice storage plant, a natural spring was discovered during the digging. A chemist tested the water and he declared that the water had medicinal qualities. He recommended that the brothers build a spa on the site instead of a building for storing ice. Construction was started in October 1913 with the excavation of the basement swimming pool and the hotel opened the following June. The building was five stories high and done in a beige stucco in Italian Villa style. The ornate interiors contained terrazzo floors, marble staircases, decorated plaster cornices and designs and art glass throughout. It was elaborate and luxurious and an immediate success, especially after the mineral pool opened on the lower level. This was the biggest draw for the hotel and was said to have caused "remarkable cures". It became a popular place for swimming lessons, water polo clubs and for those seeking the healing powers of the mineral waters. A man named "Doc" Furlong also organized hydrotherapy baths and while his methods may have been questionable, the guests and customers went away pleased. Thanks to some savvy advertising, the water was soon being shipped to customers as far away as Memphis and New Orleans. In July 1914, the hotel was bottling and selling more than 100 bottles every day. Consumption of the water increased that year to 350 gallons weekly and the hotel boasted that its curative powers equaled those of water found in Hot Springs, Arkansas. People began pouring into Alton to partake of the healing waters and the hotel held its grand opening in September 1914. It was said that one point, the swimming pool attracted over 3,000 people in a season. The hotel enjoyed its heyday throughout the late ‘teens and the early 1920’s. In 1918, Hollywood actress Marie Dressler spoke at the hotel on behalf of the Liberty Loan committee. A number of new rooms were added to the hotel in 1925, the same year that an orchestra was hired to play on Sunday afternoons and for the evening dining. August Luer sold the hotel in 1926 but it continued to thrive for many years afterward, although it finally began to deteriorate in the 1950’s. In 1971, the Mineral Springs closed down for good, despite efforts to restore the place to its former popularity with the addition of a huge ballroom. In 1978, it was restored by Roger Schubert, who developed the building as a mall featuring shops and restaurants. Years later, it would see life again, thanks to further renovations by the Love family. Once the hotel re-opened again, this time as an antique mall, stories started to be told about the place. Only these tales had nothing to do with "miracle cures" and the golden days of the hotel... these stories had to do with murder and ghosts. You see, the Mineral Springs Hotel is a very haunted place. The legends of the place say that three very different ghosts haunt the corridors and rooms of the Mineral Springs. The first is said to be that of an itinerant artist who was unable to pay his hotel bill many years ago. His ghost apparently haunts the former hotel bar. This section of the building is an antique store today but the saloon that once existed here was decorated with fine woods and marble, ornate trim and gargoyle-like figures on the crossbeams. All traces of the bar have since vanished and all that remains behind is an unfinished mural of the city of Alton that has been pained on one wall. The stories say that the artist who lived here was allowed to paint the mural in exchange for his bill. Unfortunately, he died before he was able to finish it and his ghost has remained here ever since. Building tenants and visitors who have encountered him say that he is more of a benign presence than a frightening one. He is usually seen simply standing around, as though he has no idea of exactly where he is. Many have described him as looking slightly drunk and others, not realizing that he is a phantom, have recalled the faint smell of liquor around him. If any of the ghosts in the old hotel are truly frightening, it might be the phantom that allegedly haunts the hotel swimming pool. It isn’t so much because of his tendency to scare the living but more because of his reason for lingering behind. That reason is a thirst for revenge. During the early days of the business, the swimming pool was one of the big draws to the place. When it was built, it was called "the largest swimming pool in Illinois" and throughout the 1920’s, parties and receptions were often held in the pool area and guests used the pool on a daily basis. Today, the pool is located in a basement area of the building that is closed off to visitors. The story of the ghost began in the 1920’s, during the heyday of the hotel. One evening, there was a large reception held at the Mineral Springs and people were gathered in the pool area for the party. One of the couples attending the event had an apparently volatile relationship, probably because the husband had quite an eye for the ladies. Throughout the evening, he flirted and danced with a number of young women until his wife could stand it no longer. In a fit of anger, she came over and started shouting accusations at him. Laughing, he attempted to just brush away her concerns but finally, she took off her shoe and smashed him in the face with the heel of it. Blood spurted out between the fingers of the hand that he pressed to his face and he stumbled over, colliding with one of the columns next to the pool. Stunned, he reeled and tumbled over into the water. Whether he was dazed by the blow to his face, or simply a bad swimmer, we’ll never know. Before anyone realized what was going on, the man had slipped beneath the water and had drowned. What became of his wife is unknown. In the years after the tragic event, and after the hotel closed down, the man began to be seen standing near the side of the pool, or in other lower parts of the building. His ghost has been described as angry and brooding, but impeccably dressed in black tie and tails. And he has is said to have a reason for staying behind here.... revenge. According to the legend, he is waiting here for the return of his wife’s spirit. It is believed that when he finds her, he intends to kill her by pushing her into the swimming pool and allowing her to drown. Will he ever find her? Perhaps someday he will and if that time ever comes, then maybe he will finally rest in peace. If not, well, then he may not be the ghost you would want to encounter on some dark night in the hotel basement! The stories vary as to whether the woman may have tripped on the stairs or whether her angry spouse pushed her down the staircase. In the end, it didn’t matter, because somehow she fell and broke her neck and she was instantly killed. Her despondent husband then returned to their upstairs room and committed suicide. In the years that have followed, staff members and visitors to the building have caught glimpses of this woman’s tragic flight down the stairs as her apparition replays the terrible event over and over again. Stranger still, they have also caught whiffs of her pungent perfume, a jasmine scent, near the staircase and in other nearby places in the building. Even people like Bob Love, the former owner and a man who is not a believer in ghosts, have puzzled over the coming and going of this strong odor. 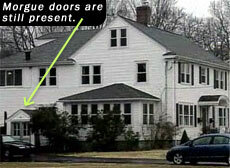 I had contacted him back in 1998, when I first heard about the haunting of the former hotel. He admitted that he was unsure about the existence of ghosts but never could explain one odd happening that had taken place in the building. "I have to say I’m not a believer," Mr. Love had said, "but one morning I walked in the Alton Street entrance and I smelled a strong, almost putrid, jasmine scent. It was strange." And employees of the place have not been the only ones to have unsettling encounters with the Jasmine Lady. One woman approached me about her own incident at the former hotel. She was shopping one day when she passed the staircase. "I had no idea the place was supposed to be haunted," she said, "I wouldn’t find out until later that everybody knew about the ghosts but me." As she passed the bottom of the stairway, she caught a sickening, flowery scent but as mentioned, she had no idea that it usually signaled the presence of a ghost. What happened next though, shocked her. "Just after I smelled the perfume, I felt this cold chill, almost like a breeze blowing. It didn’t just hit me... it, well, I guess sort of brushed past me, but it was real cold, " she said. "Then, I looked up. See, there are these signs that hang out in front of some of the stores down the hallway.... and all of the ones close to me start swinging back and forth." That was enough shopping for her that day. "I just left after that," she told me. "I have been back there since and nothing else has happened, but I’ll never forget that." While these three spirits may be the most famous haunts of the Mineral Springs Hotel, they may not be alone here. Hotels are notorious for the ghosts the living leave behind. Imagine, if you will, just how many people pass through a hotel in a single year. Then, recall how many guests an old hotel might boast after decades in operation. It isn’t a reach to think there might be a ghost, or two, around. If you factor in the deaths, murders and suicides that sometimes take place in hotels.... well, then you may be talking about a regular infestation! And it is unlikely that the Mineral Springs is an exception to this rule. Besides encounters with the notorious trio of spirits, the building boasts other strange encounters as well. Michael Love, the son of the building’s owner, once had an apartment in the building and he collected his own strange reports, including unexplained cold chills that have been reported by customers, items that have been seen to move about, voices and laughter than come from nowhere and more. He also heard distinct footsteps on the back stairs when he was home alone one evening. When he checked to see who had come to visit, he found no one there. Do guests from the past still walk in the Mineral Springs Hotel? You’ll have to be the judge of that. I invite you to go down and do a little shopping some afternoon.... you just might find more than you bargained for!